Who would have ever thought plastic would soon be crowned as the ruler of the oceanic ecosystem. It hasn’t happened quiet yet, but it is slowly climbing the pyramid. Plastic is using a strong but fragile chain to reach the top. In other words, it is becoming part of the oceanic food chain and is on its way to taking over the ocean ecosystem. This is a rapidly increasing hazard that is being acknowledged now because it is becoming an endangerment to our health. There are over 30 million tons of plastic that are being produced each year and only about 6 percent is being recycled and reused. 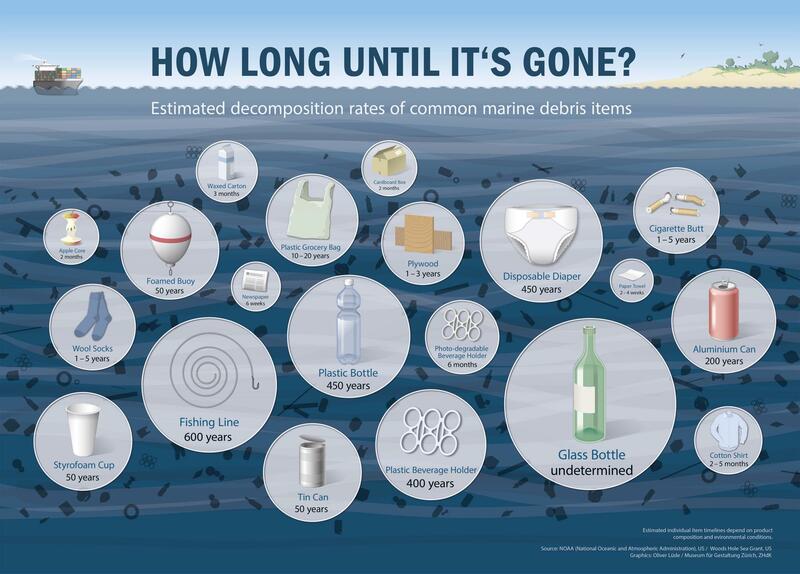 The plastic that isn’t being recycled is being disposed of and most of it eventually ends up in the ocean. Whether the plastic traveled from drain sewers, from landfills, or even from ships that roam the sea, it is a hazard to the ocean and everything that lives in it. Unfortunately, these plastics never go away. When plastic travels on the ocean currents, it either washes up on the beaches and shores or stays in containment of a gyre (an ocean landfill). The closest to North America is in the Pacific Ocean. This garbage patch is larger than the size of Texas. In every square inch of a mile there is about six times the amount of plastic than phytoplankton. With that being said, a marine animal will be more likely to swallow plastic than its normal nutrition. Approximately 10,000 marine animals including sea turtles, fish, and marine birds have already struggled from the consumption of plastic and being entangled by plastic and have died. When an animal consumes and swallows these plastics, it can cause internal problems. For example, plastic bags can easily be mistaken as jelly fish by sea turtles. 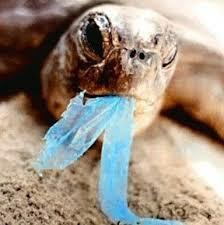 Once the sea turtle swallows, the plastic bag can block the air flow and suffocate from the inside out. Whales who feed on organisms that float in sargassum may unknowingly swallow plastic bottles, or bits of plastic beach toys. Filling their stomach with indigestible materials gives them a false feeling of being full, and they stop eating. Many nutritionally starve, and emaciated and may wash up on a beach. Sharp hard plastics can be mistaken for small fish by other invertebrates and can cut their stomach and other internal organs, even causing an infection. However, these animals haven’t just been killed from the plastic itself, but from the toxins plastic produce. The toxins produce more health issues such as kidney or liver disease. People need to become aware of the effects of being careless with plastics or it might end up on their next dinner plate.